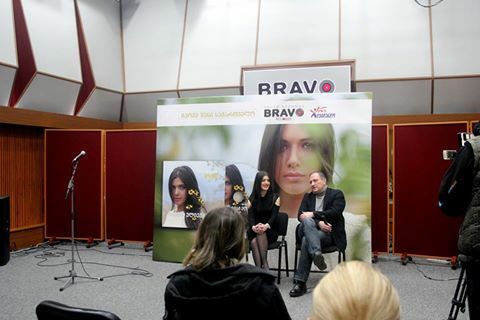 Press-conference was held at "Bravo Records" to mark the release of the debut album of Mariam Elieshvili, young Georgian singer. The Album - "Velodebi Mzes" involves well-known Georgian songs with the innovative music arrangements, including "Sait Midikhar", legendary song by Gia Kancheli, "Gelino", song from Georgian folk music, "Akh, Turpav, Turpav", "Mze Chadis" by Gogi Tsabadze, "Vikavi Marto" by Kakha Tsabadze, etc. Mariami took interest in music at an early age. 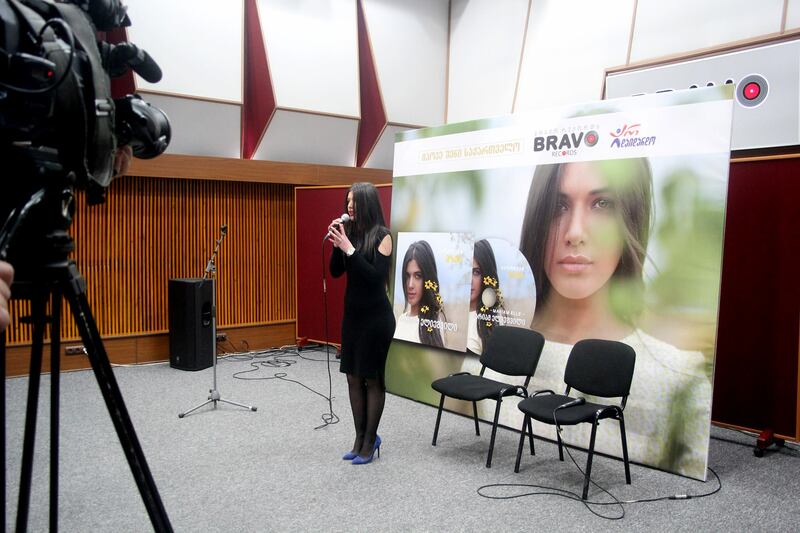 She graduated from the Piano Department of A.Mizandari Arts School in Tbilisi, Georgia, where the pedagogues had advised her to work in classical music; however, the audience learned about her with the song of completely different genre. 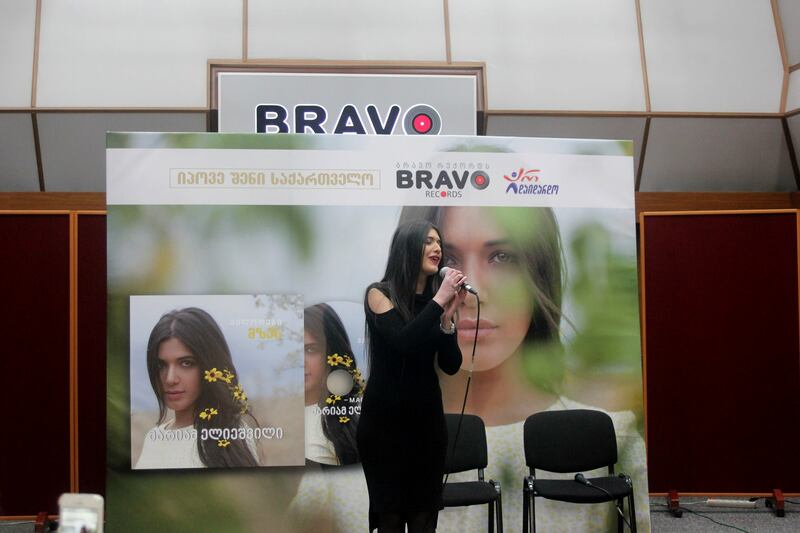 The video recorded in the city square in 2013 and published in the Internet, in which Mariami performed the song - "Chven Akla Erturts" on Panduri, Georgian folk instrument, became the turning point in singer's music career. Number of views of this video in the YouTube currently equals approximately 10 million. 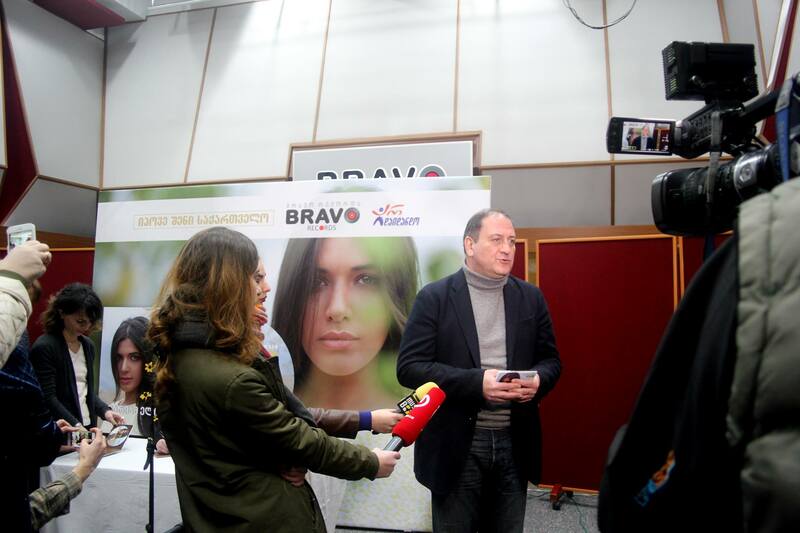 Currently Mariami studies at the Business Administration Faculty of the Free University. 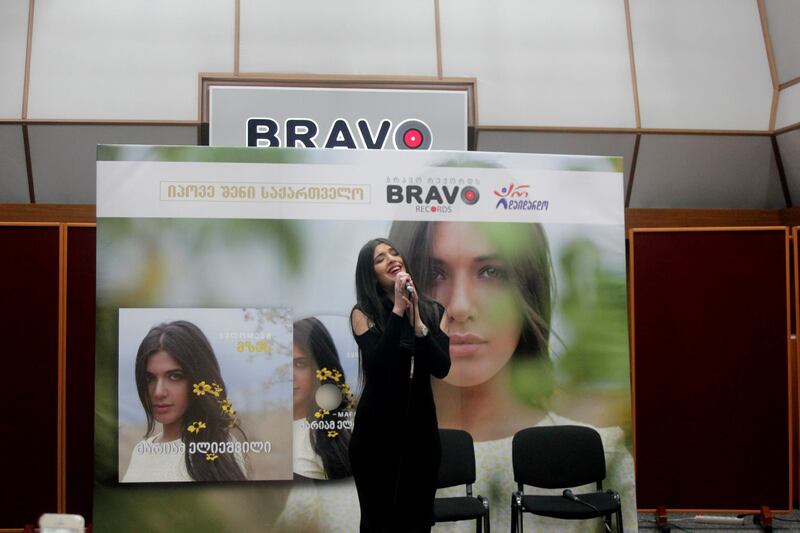 She never thought to become a singer; however, today music is inseparable part of her life. Noteworthy that Bravo Records worked in this genre of music for the first time.